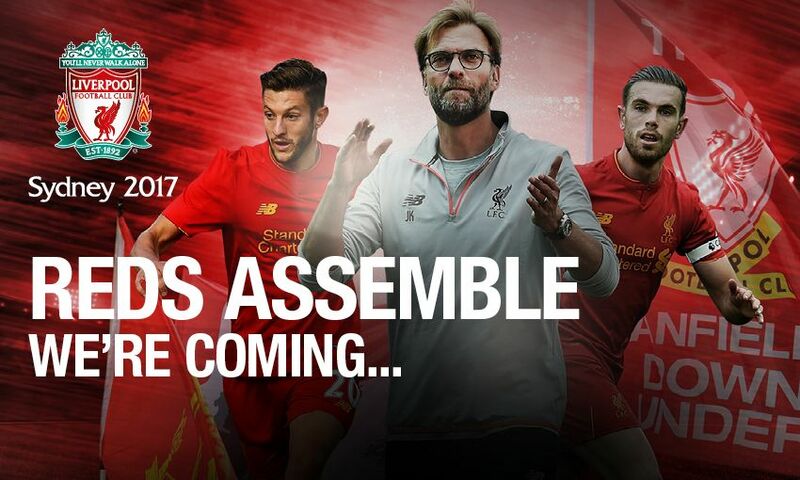 Liverpool FC can announce Jürgen Klopp's team will travel to Sydney to play a post-season game at the city's ANZ Stadium. The fixture will take place on Wednesday May 24 and will see the Reds make their debut in the city against Sydney FC. Liverpool FC ambassador Ian Rush was in Sydney today to make the announcement. “We have so many incredible fans in Australia and there is always a brilliant atmosphere when we play over here,” he said. The game will also be the closest match to the Reds’ 125th anniversary, which will be celebrated on June 3, and the historic milestone will be marked with activities in and around this special game in Sydney. Liverpool have more than 2.3million followers in Australia and the strength of their support has never been more evident than during the club’s previous visits: the incredible moment in Melbourne in 2013 when 95,000 fans sang ‘You’ll Never Walk Alone’, or in Brisbane and Adelaide when fans came out in their thousands to show their support. Gladys Berejiklian, Premier New South Wales, said: “Sydney is the events capital of Australia and we are excited Liverpool FC has chosen to play here. General admission tickets will go on sale at 11am AEST on Wednesday April 12 via www.ticketek.com.au/lfc. Local official supporters’ clubs and official members will receive an email on Tuesday April 11 about a priority pre-sale.